I’m a failure in the cooking department lately. Well, I’m cooking– just revisiting old favorites like Buffalo Chicken Eggs Rolls (try it with avocado inside, delicious!) and Chicken Enchilada Pasta. I always struggle with the desire to venture out and try new things and the pull of tried-and-true classics. I think that struggle manifested itself a couple weeks ago with my running shoes. I began running in Brooks Adrenaline and they worked fine. I don’t recollect any specific pains during the training and racing of my first half marathon. I bought a second pair of the exact same shoe and continued running recreationally. Then I signed up for my second half-marathon and the Brooks had lost their luster. I wanted a bright shoe. I wanted a lighter shoe. So, I bought a pair of Nike Lunarglides. I ran 15 miles in them and regretted it. They didn’t fit my foot properly and I’m lucky I only walked away with a couple blisters. I returned them and selected a pair of Mizuno Inspires. They weren’t perfect. Running in the twenty-mile range left my knees with a dull ache but whether that was a result of the shoes or just a factor of long-distance running is anyone’s guess. There were never any sharp pains and I finished a marathon strong. So why did I change shoes again? Two weekends ago I ran 10 miles in my Newton Distance after two previous trial runs. I was planning on doing 11 when towards the end of 9 I felt a little ankle pain and didn’t want to chance it. However, the damage was already done. I pushed it and paid for it, or rather “pay” for it. I dug my Mizuno Inspires out of the closet and have been running in them since. I don’t know whether the pain is a factor of pushing it too far running with a different stride or if the pain will happen regardless because Newton’s mechanics aren’t meant for individuals with high arches. As soon as the situation arose, I google searched my way into a full-blown frenzy. 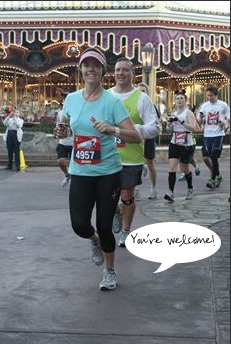 For now, I’m apologizing to my tried-and-true marathon shoes and shelving the Newtons until after the Sarasota Half. I really don’t need another shorter distance shoe so maybe I’ll work into longer distances. I just couldn’t imagine running a marathon in the five-fingers so I decided to try something that would produce a similar gait. When did this become so complicated? Do you stick to the shoe that works or try and branch out? 2 Responses to My ankle is angry. Thanks! Yes, ankles are easy to strain. I’ve been icing and massaging which is slowly helping.